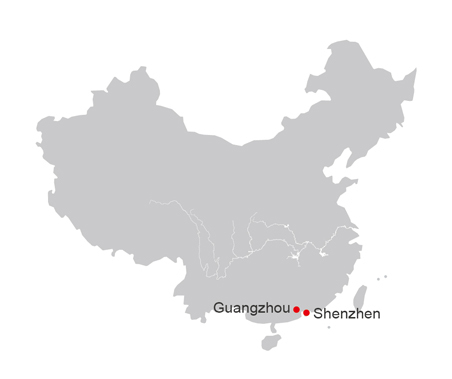 Guangzhou and Shenzhen are the most popular cities for Muslim clients. Here you will visit the Lingnan area for some of the best sightseeing. 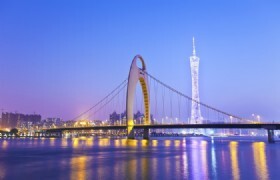 Detailed Itinerary: You will meet your guide and driver at Guangzhou Airport. 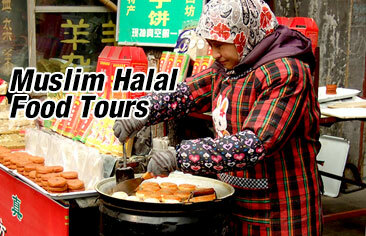 You will then proceed to Shenzhen after lunch, you will then pray at Shangmeilin Mosque. 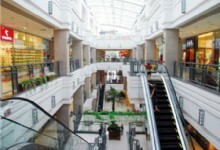 Afterwards you will go shopping at Luohu Commercial City. Later you will check in to your hotel. Shenzhen Meilin Mosque: Shenzhen Meilin Mosque is the only mosque now in Shenzhen. Shenzhen Muslim Hotel has praying rooms for those who stay or dine at the hotel. A view of Shenzhen mosque from one of the two entrances on Mei Lin Road, Shenzhen, China.Parallel to the main road is an open grassy patch which seems to be used for a car park on Fridays. To the far right is a small garden and the main mosque is to the center moving to the left with its two mosaic covered minarets. 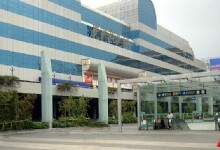 Luohu Commercial City: This centre contains thousands of shops and you are encouraged to bargain in every one of them. Be prepared for crowds and over-enthusiastic shopkeepers. Zhong Fa Yuan Muslim Restaurant (Jingtian Chain Store) is one of the chain stores under the Zhong Fa Yuan Xue Hua Limited Corporation, which is a Muslim chain enterprise. This restaurant has a history of 10 years and has been quite popular one among those Muslim restaurants in Shenzhen. The Mesopotamia Muslim Halal Restaurant is one of the most famous and popular Muslim restaurants in Shenzhen. Mesopotamia Restaurant is a Turkish restaurant that provides the best Turkish food with authentic flavor and tasty dishes. Detailed Itinerary: After hotel breakfast you will visit Lotus park where you can see the Dengxiaoping Statue you will then proceed to Yuanbo Garden. 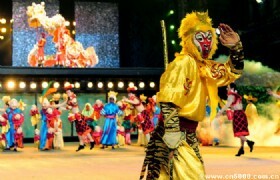 Optional tour at your own cost: Splendid China & Folk Cultural Village plus 2 shows or Windows of the World. 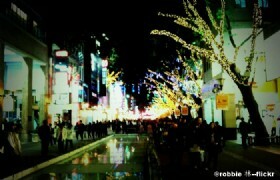 Then free shopping at Dongmen Pedestrian Street. After you will head back to your hotel to rest. 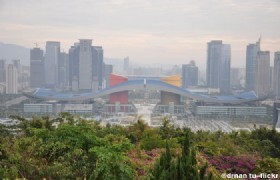 Lotus Park: Lotus Mountain Park lies in the central part of Futian. The 106-metre hill is named because of its shape. 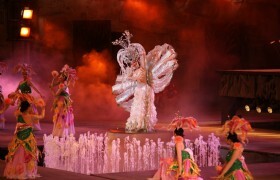 Splendid China & Chinese Folk Cultural Village: Splendid China & Chinese Cultural Village is comprised of two sections. The first is a miniature park of China and the other section consists of 56 houses, each representing one of the 56 nationalities in China. Dongmen Street: Dongmen Pedestrian Street is a commercial area in Luohu that’s been ticking away for over 300 years. Jinjiang Xiyu Restaurant is a Halal restaurant in Shenzhen famous for its combination of traditional Halal cuisine which has combined traditional Arabic recipes with local Beijing cuisine. 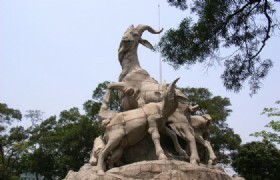 Detailed Itinerary: After your hotel breakfast you will travel to Guangzhou to visit Yuexiu Park and see the Five Rams Statue, Leather Wholesale Market, Maqam Saad Abi Waqas and Beijing Road. 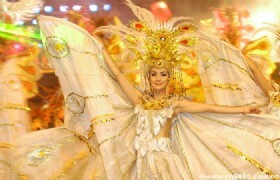 Optional tour at your cost to visit Night Cruise at Pearl River. You will then return to your hotel to rest. 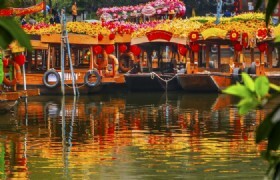 Yuexiu Park: Yuexiu Park is the largest and one of the earliest comprehensive park in Guangzhou. Maqam Saad Abi Waqas: The tomb is located in Guihua Gang, Guangzhou, China. It is also known as "Hui Hui cemetery". According to the legend, the famous Arabia Islamic missionaries in Tang Dynasty Saad Abi Waqas died in Guangzhou, and buried here. Beijing Road: Beijing Road in Guangzhou is another interesting street and one of the major commercial streets in Guangzhou City, located in the center area of Guangzhou, and is also the original construction location of Guangzhou, packed with shops, malls and restaurants. Beijing Road pedestrian shopping street is a little more cosmopolitan than Shangxiajiu Pedestrian St but somethings may a little more expensive too. It’s also pedestrian friendly with no cars, with strong traditional atmosphere and modern fashionable elements. 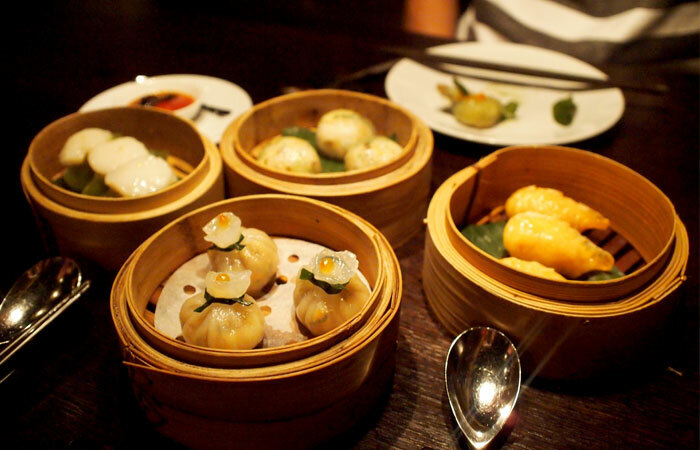 Mint Leaf Restaurant is a Halal restaurant that serves Southeast Asian style Halal cuisine. Location: No. 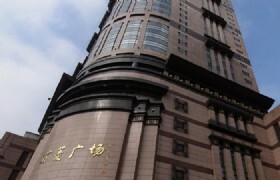 304 Huanshi Zhong Road, Zhaoqing Building, Floor 1-2, Yuexiu District, Guangzhou. variety of options from seafood, lamb, pasta and desert. Detailed Itinerary: After hotel breakfast you will visit Canton TV Tower (picture stop), New Lychee Wan River and Shangxiajiu Street. You will then head back to your hotel to rest. 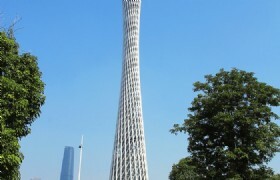 Canton TV Tower: Canton Tower is a new landmark building of Guangzhou city. It is the highest TV tower in the world which is 600 meter in height. You can get a panoramic view of the spectacular city landscape on the tourist hall at the top of the tower. Lychee Bay: Lychee Bay, or Litchi Bay, is located in the Pantang region, the west of Liwan District of Guangzhou. It is the hinterland of the time-honored Xiguan City. 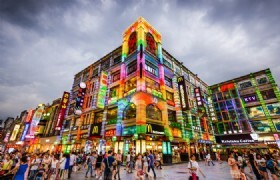 Shang Xia Jiu Shopping Street: Shang Xia Jiu Shopping Street is one of the most popular commercial centers in Guangzhou. The Shangxiajiu pedestrian shopping street is around 800 meters long and has 250 stores on each side of the street, opened at 30th September 1995, it is the first commercial pedestrian street in Guangzhou city. The Glass House Restaurant can be found at Guangzhou Xinjiang Plaza and serves mainly a range of barbecued lamb and beef. Must try dishes of the restaurant are hand pulled mutto. Detailed Itinerary: After breakfast at the hotel you will go shopping at Onelink Wholesale Market and Haiyin Electronic Market. You will then proceed to the airport for your flight. 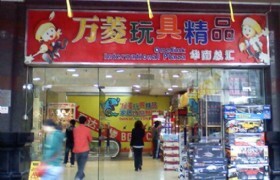 Onelink Wholesale Market: Onelink Wholesale Market, also known as Guangzhou Onelink International Toys and Gifts Wholesale Market, is located at Onelink Plaza, No. 39, Jiefang South Road, Guangzhou. Haiyin Electronic Market: Haiyin Computer Wholesale Center is located on the second and third floors of Haiyin Electronic Wholesale Market with 20 booths. Alsham Restaurant is an Arabic restaurant specialized at Muslim food. This is an exotic restaurant with clean and quiet environment, decorated in Arabic Islam styles in light blue color. Meals: 5 Halal Lunches and 4 Halal Dinners. Group transfers between airports, hotels and scenic spots while sightseeing by airconditioned vehicle with a driver and English-speaking guide. 4 nights Hotel Accommodation based on twin share.